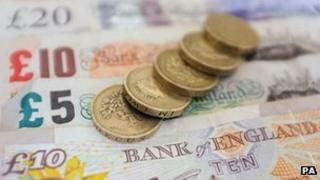 The UK's 46 million current account holders will be able to switch banks in seven days from next month. After two years of preparation, the Payments Council has confirmed a new switching service will start on 16 September. Until now, transferring an account to a new provider has taken up to 30 days. In anticipation of the new scheme, two banks are already offering customers an incentive of up to £125 to switch their current accounts to them. The service is being launched following a recommendation from the Independent Commission on Banking two years ago, which said that people only changed bank accounts once every 26 years on average. As a result 17 banks, involving 33 different brands, are promising that switching accounts will now be much quicker and hassle-free. Wayne Audsley, an independent financial adviser from Hull, contacted the BBC to say he plans to switch accounts as soon as possible. "I have wanted to switch my account, but had put it off as I have no confidence in the system in its current format," he said. "Hopefully this new process will make it easier and I, for one, will be looking to switch as the deadline draws near." Last year, some two million people switched their account, roughly 2.5% of the total. As a result, the so-called "Big Four" High Street banks - Lloyds Banking Group, Barclays, Royal Bank of Scotland and HSBC - retain control over the market. Between them, they have a near 75% share of all current accounts, according to figures from the Office of Fair Trading. As a result, the government would like to see more people switching, although there is no official target. But one measure by which the government might judge the success of the project is to see more people moving away from the biggest banks to stimulate competition. Alternatives include the UK's smallest provider, the Reliance Bank, which is part of the Salvation Army and has just a single branch, or the Cumberland Building Society, which has 34 branches based across Cumbria and the north-west of England. Along with the Nationwide, it is one of just two building societies taking part in the scheme. Account holders are being advised to contact their new bank, who will do all the switching for them. Or they can go on the website simplerworld.co.uk, where they can select a new provider. The new provider will arrange for all direct debits and standing orders to be redirected to the new account. Payments in, such as from an employer, will also be redirected. This service will continue for a period of 13 months, to cover any once-a-year payments, such as insurance premiums or the television licence fee. Among the new entrants will be Virgin, which has not yet given a date for its new current account, and, from next year, Tesco. No one knows how many people might be persuaded to switch, but some people are doubtful that many will do so. And some may simply move from one large bank to another. The UK's banks are known to not be keen on the alternative, which is known as "account portability". This would make moving even easier for customers, as they could switch between providers as easily as moving between mobile-phone operators. As with mobile phones, customers could keep an existing account number for life, as they do with their telephone number. The idea was championed in June's report from the Commission on Banking standards, and as a result the Treasury will look at the idea more closely next year. But banks say the system would be complicated, with new systems having to be built from scratch. "We believe account switching will deliver but the test is to see it in action," one bank told the BBC. The industry will be launching a major advertising campaign in September. But already two banks are offering customers a cash incentive to switch to them. First Direct has increased its offer to new joiners from £100 to £125. The Halifax is already offering a £100 incentive to new account holders.